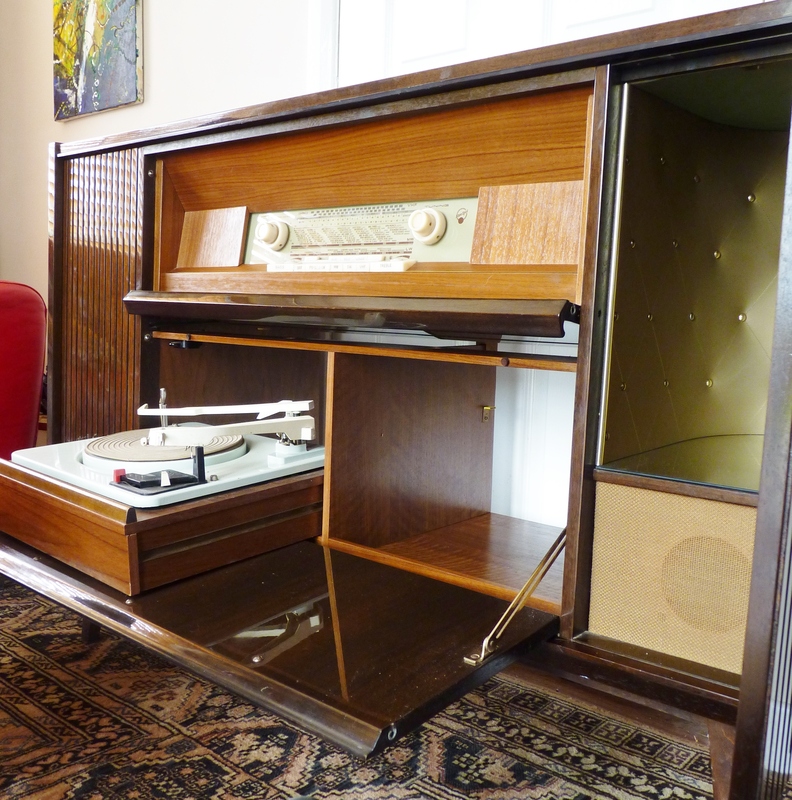 Probably late fifties, early sixties Blue Spot radiogram, with a wonderful dark brown mahogany, high gloss finish. 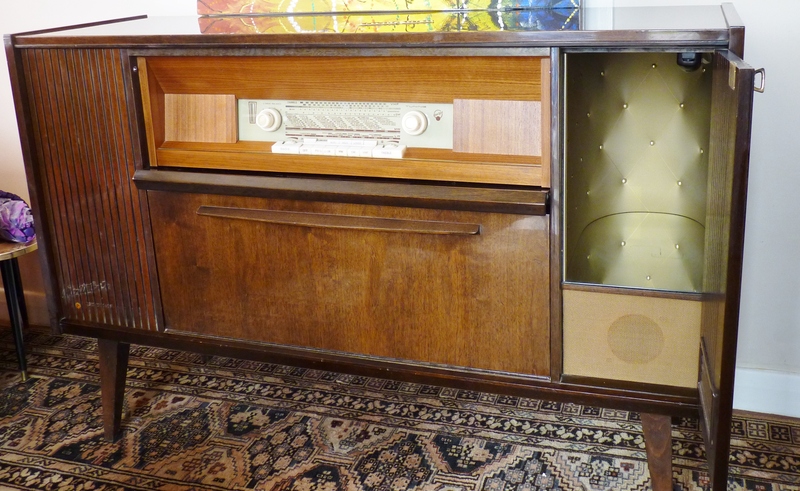 Once the Blaupunkt valve radio warms up and the cocktail cabinet is loaded, you’re ready to roll back the rug and party. 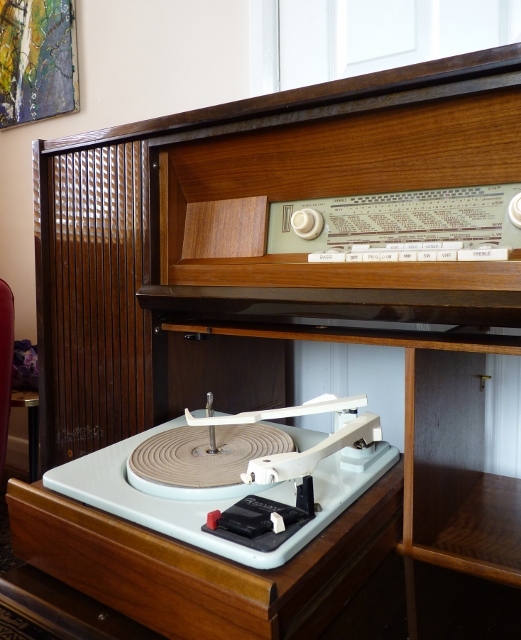 The Blue Spot radiogram was considered The Radiogram in its day and it still packs a powerful punch. I love the pale blue Garrard deck. It really contrasts against the dark wood, although it’s difficult to do it justice in a photograph. Vinyl is making a comeback, although for some of us, it never went away. A great day at Spitalfields yesterday. The sun shone and the radios got lots of compliments and admiring glances. It’s good to know that a valve radio can make itself heard over the market throng. The Blaupunkt Sultan played all day. Now that’s what we call a sound soak test. 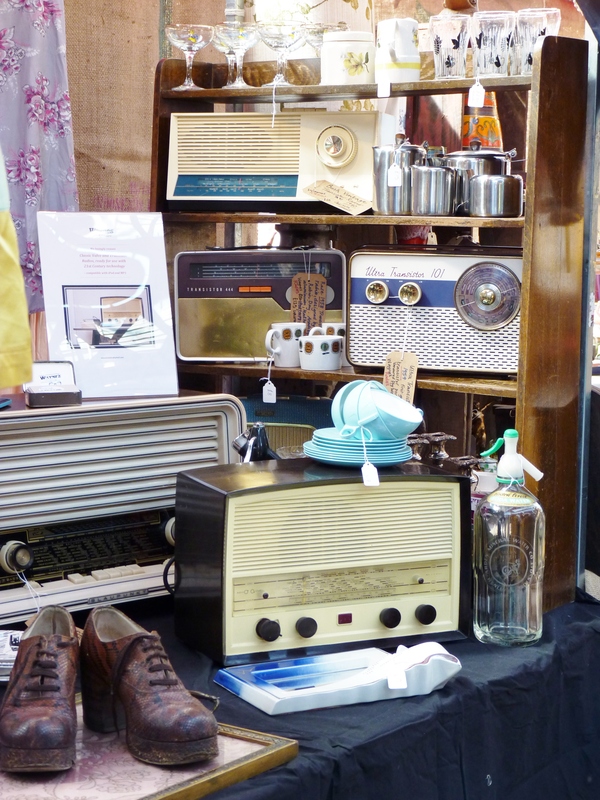 Encouraged by the positive reaction, we’re planning on going to the Thursday Vintage market next, taking a whole stall to showcase radios from different eras. We’ll keep you posted. 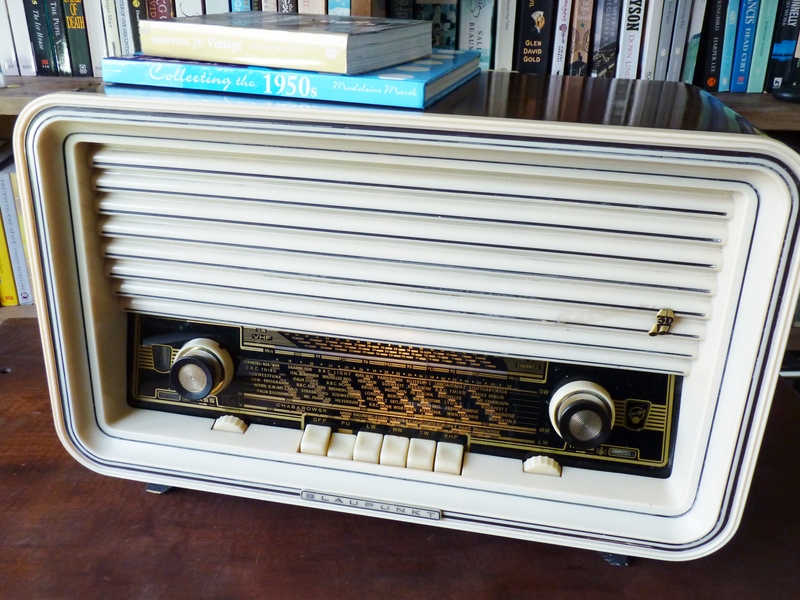 This is our newly restored 1950s vintage valve radio made in Germany by Blaupunkt. Although the radio came to us looking very dirty and distressed we knew it would be worth spending time on. The name Blaupunkt came from the blue spot that was used by the “Ideal” company to mark products passing quality control. The blue spot became synonymous with quality and innovation. People started asking for blau punkt products and inevitably this became the company’s trademark and name. As you can see it’s now looking lovely once more and sounds as good as it did back in 1956 when Doris Day was singing Que Sera Sera. The blue spot also featured in the collage we used for our Christmas card this year by Maddie Gosling. 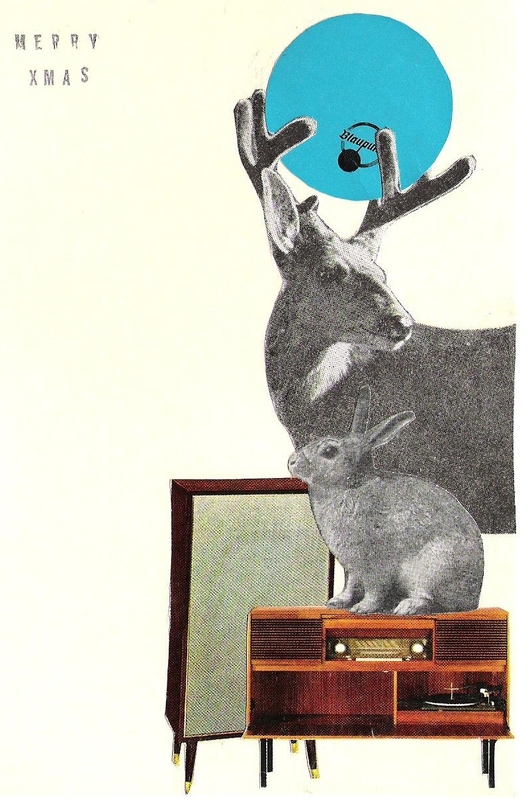 You can see more of Maddie’s work at http://maddiegosling.tumblr.com/ and also on some of our radios. I bet you’re wondering what’s on the workbench today. 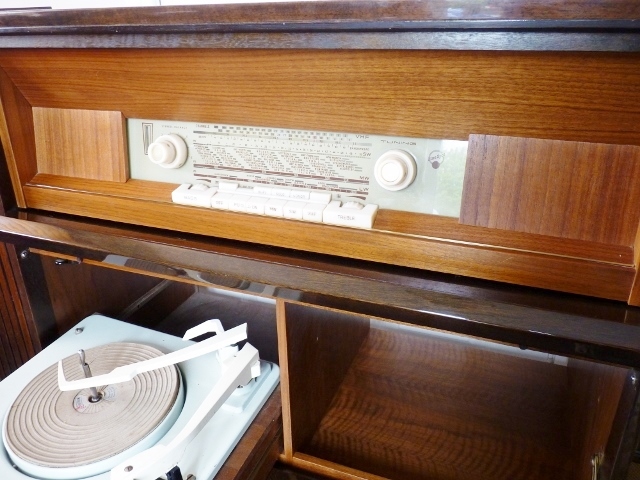 We’ve got several items of vintage technology in varying states of undress. An enormous 1930s Pilot completely stripped bare, a medium sized 1950s Blaupunkt waiting patiently for parts and two tiny 1960s Roberts ready for reassembly. 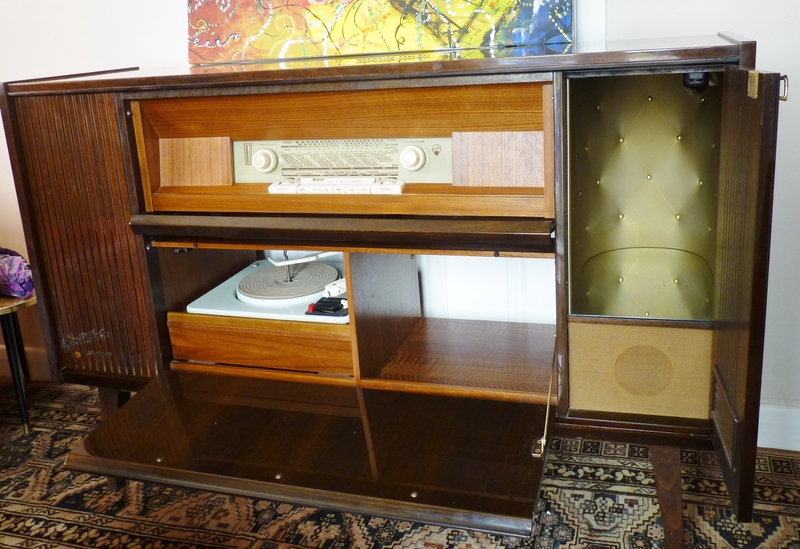 That’s what’s great about Vintage Radio restoration. No two radios or days are ever the same.